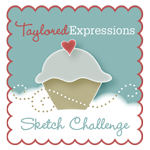 I love the Stamp of the Month addition to the Taylored Expressions store - especially this month's stamp set called S:more's Fun! This set is perfect paired with the August Key Ingredients Kit: - check out the Taylored Expressions Deluxe Subscription Kit here for more details. 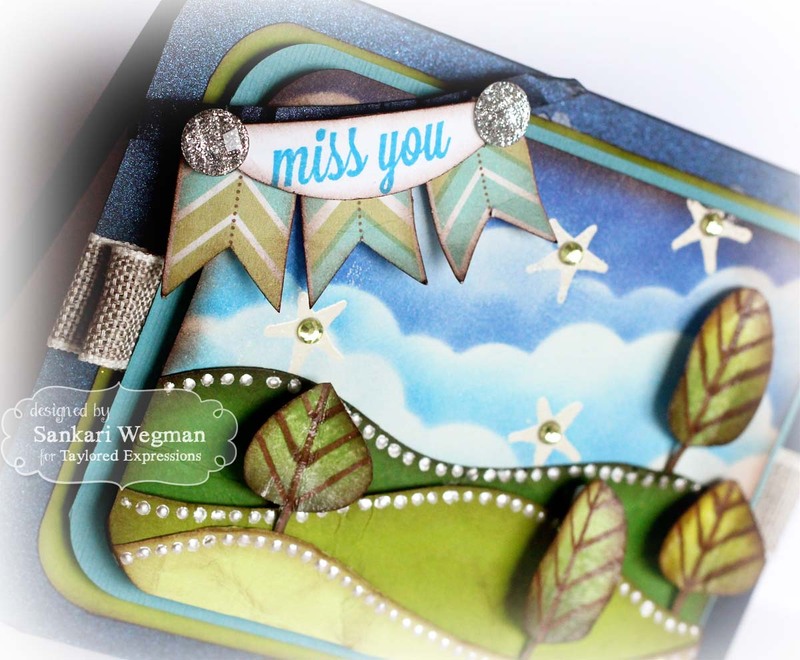 Today I used the August Stamp set and created a little night scene with the sweet trees in this set - I just love this set paired up with stars in this set with the Build A Scene - Rolling Hills dies :) Can I just say, that I LOVED making this card!!! 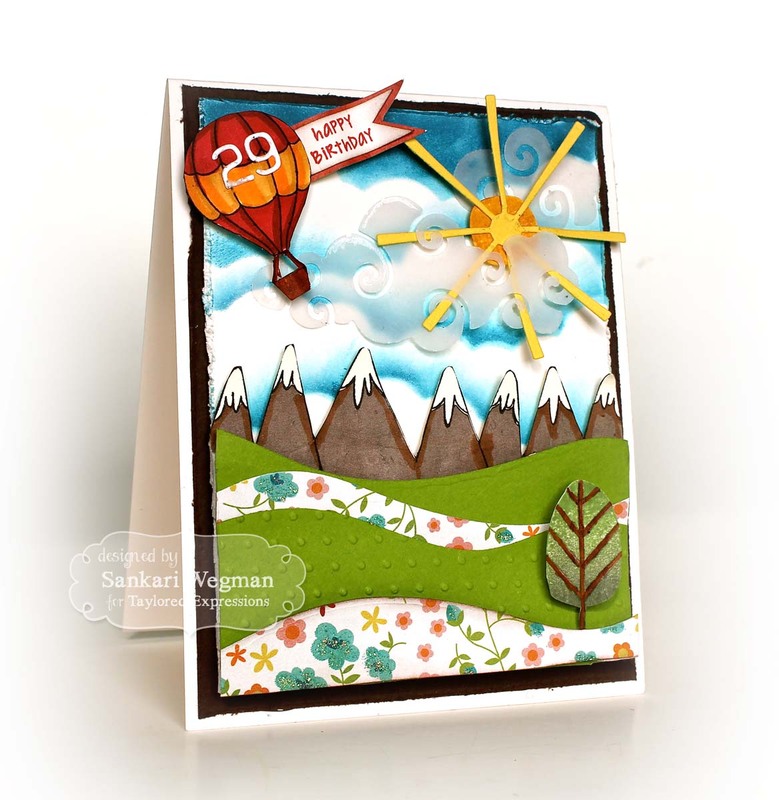 I started out by embossing the stars in this set with white embossing powder and then sponged over them with some blue inks with the Cloud Border die and then layered the hills with different colors of green papers - so much fun to create this little evening scene! I love stamp sets that have a ton of possiblities!!! Seriously! 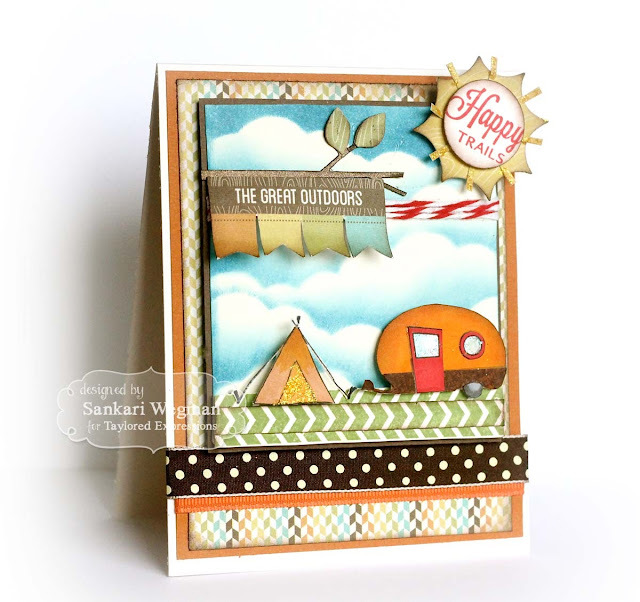 This stamp set is so cute - it is perfect for all your camping cards, to miss you cards, to summer fun! 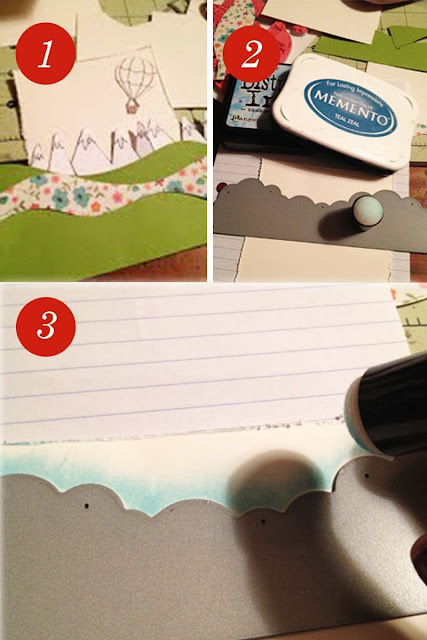 So many cards to make!!! Speaking of which, I cant' wait to make more cards!! 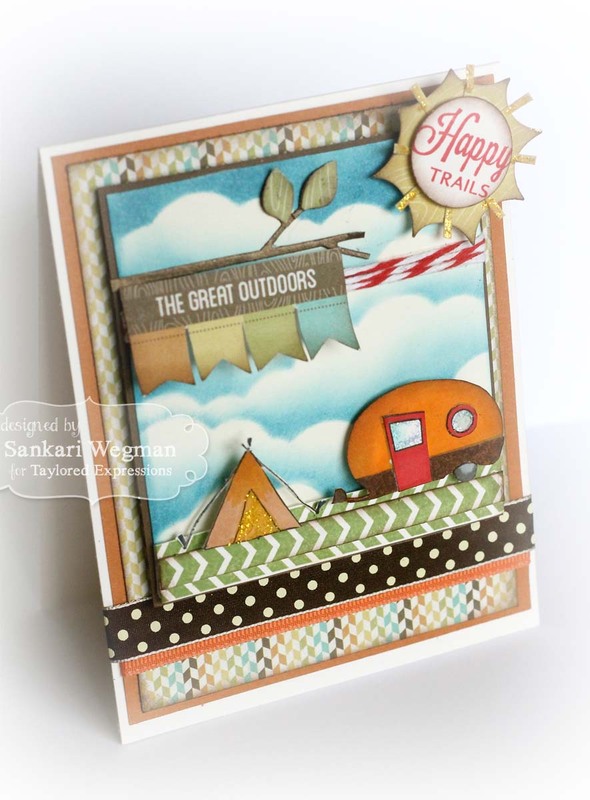 I love this sweet sweet stamp set - I love this sweet image of the camper in this set - adorable. I knew I wanted to use this image but I also wanted to use the image of the cute tent in this image - what to do? which one to choose? So I used both on my card!! I created a little scene for my camper and tent and sponged a little scene with clouds and cut out the sentiment "The Great Outdoors" from the image in the paper pack from the KI kit and used it with the dies that also coordinate with this set - I loved making this card! And are you ready to see all the amazing samples created with this set - seriously - pure amazingness!!! Please hop over with me and check these amazing artists out!!! 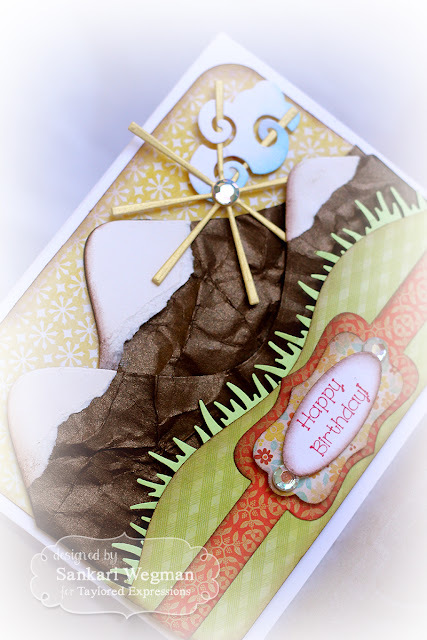 Did you get to check out the awesome August Release yesterday from Taylored Expressions!! I love the gorgeous and beautiful samples that all of the design team members have created this week - there are just so so so many possibilities of what you can do to with this release! 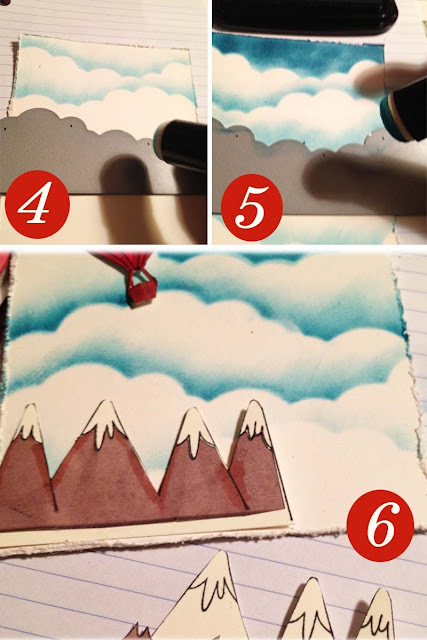 Today on our Spotlight Hop, I decided to make a creation with one of my favorite parts of the release - the 4 Build A Scene dies!! I created a little card with all of them - I used the Happy Birthday sentiment from the Say What? 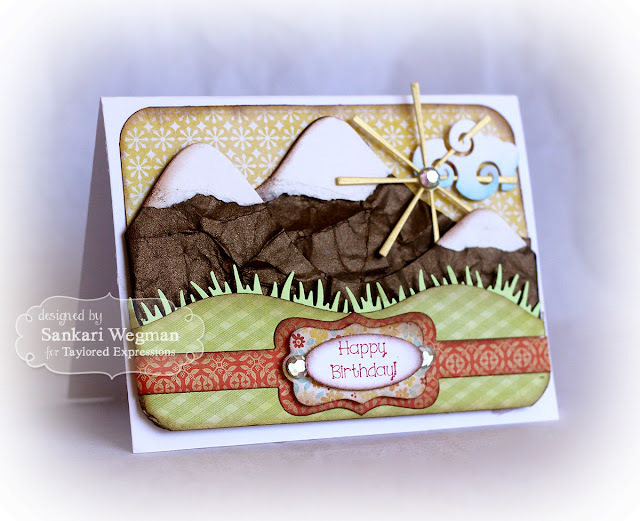 stamp set - I love how this turned out, it was so much fun to make! Band-It die to create the sentiment holder - this was an attempt at creating a masculine card - I figure there are mountains on it and no ribbons - boom, instant masculine card in my definition :) haha! 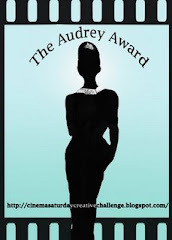 I can't wait to see what the rest of the lovely artistes from the Baker's Dozen have created for the Spotlight hop! 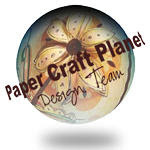 Please hop along with me and check their awesome creations out! !